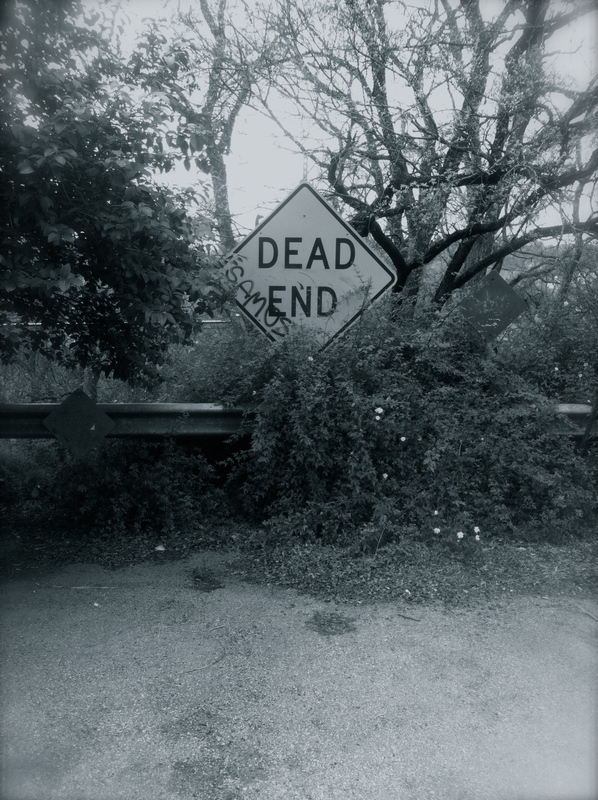 Dead end. Where do you go when you reach a dead end? It’s not literally a dead end, whilst literally being a dead end sign. Keep going? Turn around? This entry was posted on Tuesday, March 17th, 2015 at 8:31 pm	and tagged with graffiti, grammar, spelling and posted in David Foster Wallace archive, Popular Culture. You can follow any responses to this entry through the RSS 2.0 feed.